Mouth breath is a very shameful thing. This problem makes a laughing stock in front of many people. Bad smell comes due to less formation of saliva in the mouth. Whenever we eat outside and do not drink water then you get smell from the mouth. Water works as cleanser in the mouth and it kills the bacteria from the mouth. 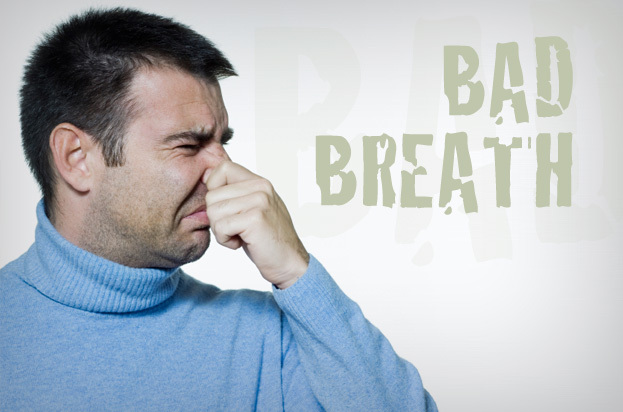 Bad smell also occurs due to liver problem. you should include seasonal fruits and raw vegetables in your diet. It gives nutrients to the body and cleans the teeth. Avoiding Breakfast: Saliva occurs due to breakfast. It clears the skin and it also eliminated bacteria. Liver Disease: Mouth smell comes due to liver diseases such as liver syndrome or jaundice. Mouth Ulcer: Many times pus accumulates and blood starts due to mouth ulcer. It increases the chances of infection. Bleeding from Gums: Many times blood accumulates in the mouth and you get smell. Throat Infection: If you have infection in throat and bacteria breaks bronchial passages and you get bed smell. Kidney Failure: Bad smell comes due to kidney failure. The smell likes fish. Diet: If you are taking protein in your diet then you get smell from your mouth. Alcohol: Saliva glands dry due to intake of more alcohol. Saliva kills the bacteria in the mouth. When glands dry then you get smell from mouth. Medicines: Some medicines tend to dry the mouth. In this case, saliva does not occur in the mouth and you get smile.